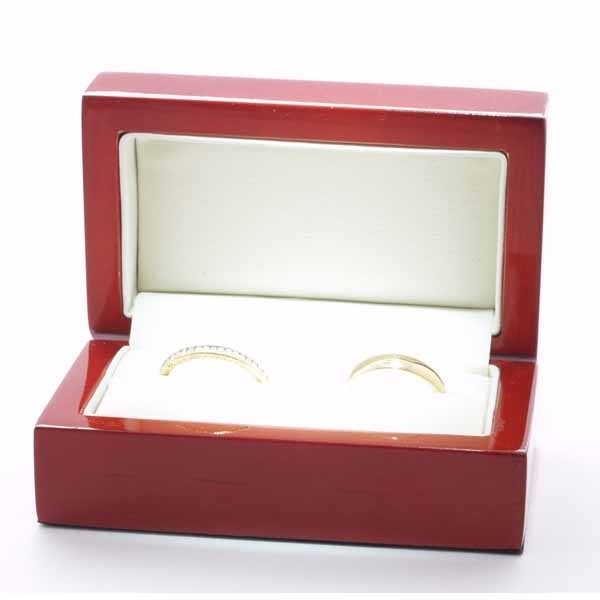 Palladium Wedding Ring Designer Pattern Miele. Flat Court Miele 6mm Medium Heavy with a series of three rounded grooves set into the outer edges and the centre. The two raised surfaces have squared edges. 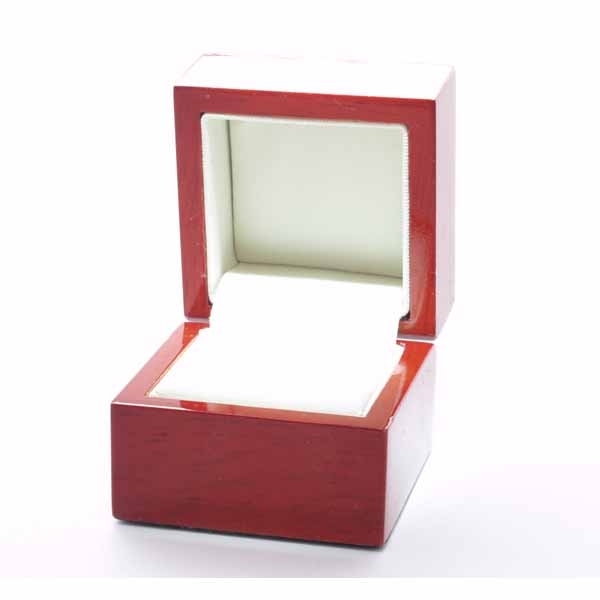 This ring comes in a velvetine pouch you can also choose to have it in its own real wood presentation box. 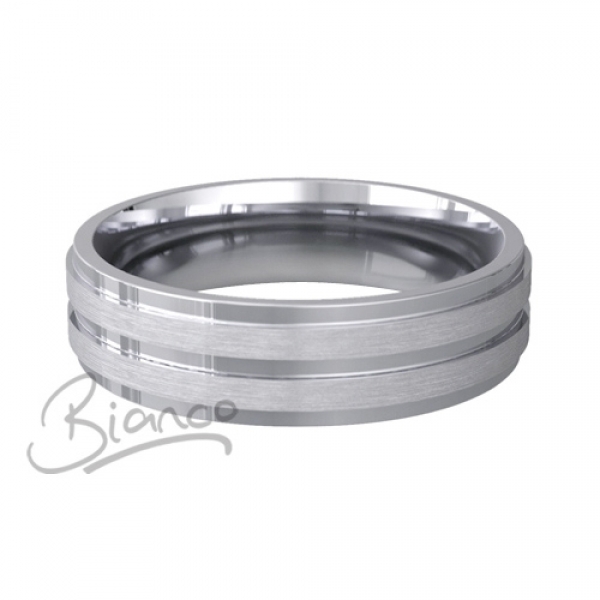 This ring has a Flat Court (Comfort fit) profile .